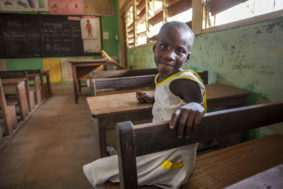 Children in developing countries are in dire need of school supplies. The average classroom lacks the basic essential school supplies that make for a meaningful educational experience for kids. Access to pencils, pens, and notebooks may not seem difficult to acquire in the US, but the same cannot be said for millions of other children around the world. Many cannot attend school simply because they do not have the necessary supplies to do so. TEL International has responded to this need and is facilitating the donation of school supplies to needy and deserving schools. Partner with us to send kits of school supplies to distribute to needy students around the world. Your gift of $25 will offer things like backpacks and other book bags; calculators; spiral bound, composition and other notebooks; filler paper; binders; colored pencils, crayons and markers; colored pens; erasers; glue sticks; graph paper; pens and pencils; pencil sharpeners; pocket dictionaries; pencil cases; reams of boxes of paper; sporting equipment; building materials and more.